The neighbourhood public library is a critical resource for newcomers to Canada. The Library Settlement Partnership (LSP) program was established in 2008, bringing settlement workers to work in libraries and assist newcomer clients. 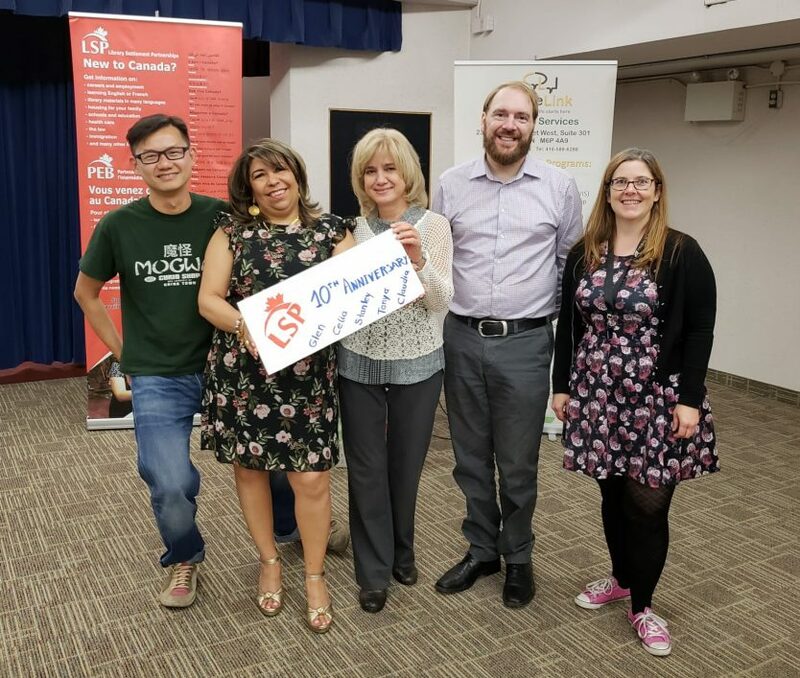 In October 2018, CultureLink celebrated this 10 year anniversary milestone with special events at the Lillian H. Smith and Mimico Centennial branches of the Toronto Public Library. At the Lillian H. Smith branch, past participants came out to learn about the history of the library and about Lillian H. Smith. A Parks Canada officer also presented on the history and highlights of Rouge National Urban Park, and clients were invited to a guided hike to see the Fall colors at the Vista Trail and Bob Hunter Memorial area of the Park. The clients had an amazing time. At the Mimico Centennial branch, clients participated in crafting activities, played human bingo and celebrated with cake and light refreshments. Over the past 10 years the Library Settlement Partnership program has had great success and has served over 10,000 clients, helping them with many different settlement and immigration issues. LSP has also offered many different workshops to educe and inform clients about settlement obstacles and creative ways to overcome them.